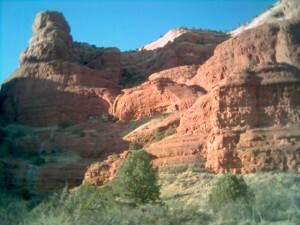 One of my favorite places in the whole of the United States is Sedona, Arizona. There are so many wonders, so many places of amazing beauty, words can barely do it justice. 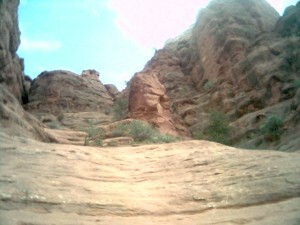 The red rocks are incredible, and so very unique. The stratification of the stones, showing eons of time, are fairly unique to this part of the world. Over the decades, many movies have been shot here, because the natural beauty of the area is a wonder to behold. And then there are the vortexes. 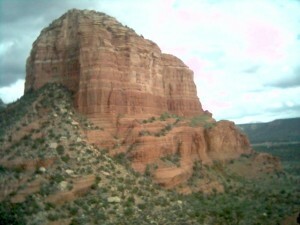 The energy vortexes of Sedona are incredible, and if you are energy sensitive, empathic, or at all in tune with your sixth sense abilities you will find it possible to feel Gaia at her most open and reachable. It has felt to me like I was communing with the earth in the most intimate and sensitive manner imaginable. I am saddened that it has now been several years since my last chance to visit. 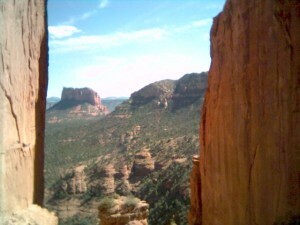 I know there is a big world out there, but given any opportunity to travel, I would not hesitate to pay a visit to Sedona for all its natural beauty again. A wondrous place in our wondrous world. I am MJ Blehart, “Wednesday’s Wondrous World” writer and photographer. Every week I share a magical wonder of this amazing world, and I hope you will enjoy the journey with me!